Welcome to the 2016 Cloud9 New Block Blog Hop! Cloud9 generously sponsored this New Block Blog Hop featuring their Cirrus Solids. Cloud9 is also generously sponsoring a fat quarter giveaway, so don’t miss out on two different ways to enter to win (details at the bottom of the post). My co-hosts, Cheryl @Meadow Mist Designs and Stephanie @Late Night Quilter, and I had fun selecting the color palette for this blog hop. We named the grouping “Berry Harvest” and it is comprised of Cirrus Solids Amazon, Sky, Iris, Lilac, and Shadow. *I wasn’t able to convince my husband to design a block for the hop, but I did love his tonal arrangements of the fabric! The Berry Crossing Block is designed to use (5) different fabrics. I have provided a blank block image below for you to use to color and plan your color layout. Sew a ¼ʺ seam allowance on either side of the marked diagonal line. Press to set seams. 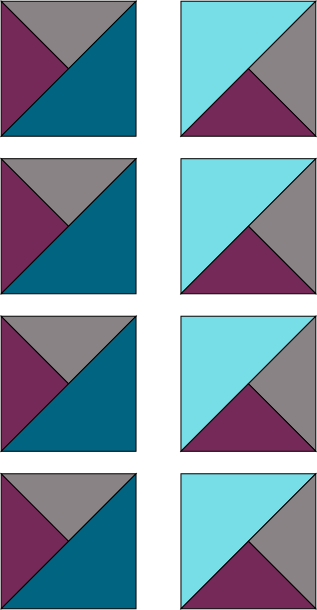 Using (3) Fabric A and (3) Fabric B squares, make (6) HSTs. Trim HSTs to 3 ½ʺ x 3 ½ʺ square. 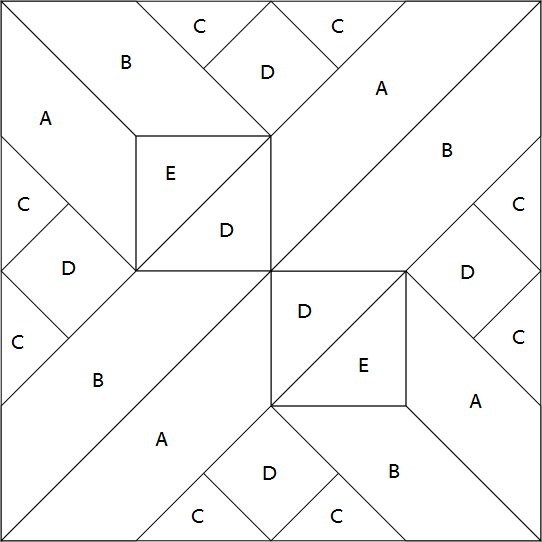 Using (2) Fabric C squares and (2) Fabric D squares, make (4) HSTs. Leave the HSTs untrimmed. Using (1) Fabric D and (1) Fabric E square, make (2) HSTs. Trim HSTs to 3 ½ʺ x 3 ½ʺ square. Cut the (4) untrimmed Fabric C and Fabric D HSTs from Step 2 in half corner to corner, perpendicular to the seam. Cut the remaining (2) Fabric A and (2) Fabric B 4 ½ʺ squares in half corner to corner. Paying careful attention to the image to the above, pair up the pieces from Step 4 and Step 5 as shown. Place triangles right sides together and sew a ¼ʺ seam allowance down the long edge. Press to set seam and then press seam open. Trim QSTs to 3 ½ʺ x 3 ½ʺ square. Repeat Step 6 to make a total of (8) QSTs. 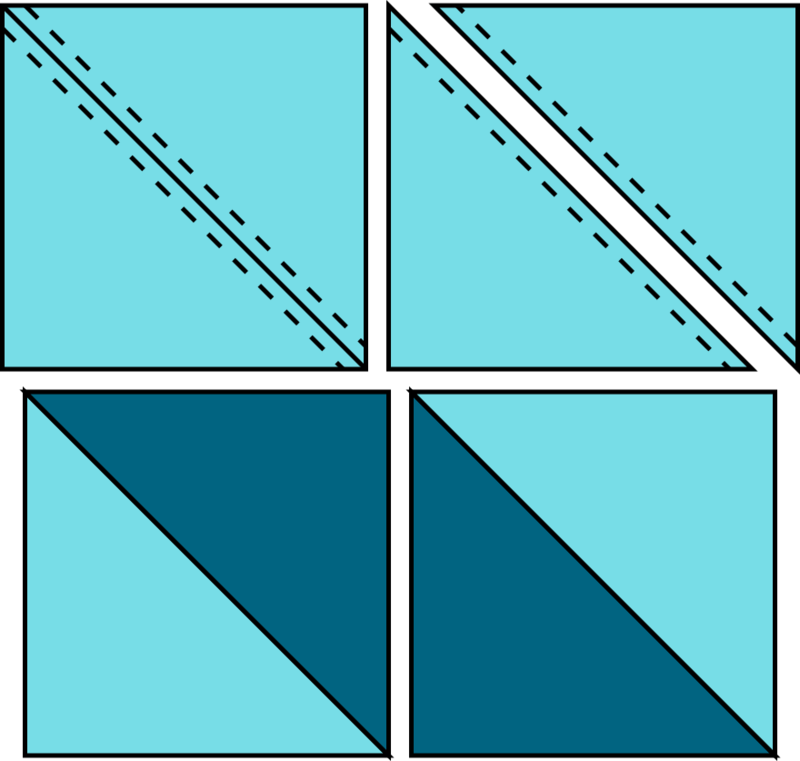 Using the (8) 3 ½ʺ x 3 ½ʺ square HSTs and (8) 3 ½ʺ x 3 ½ʺ square QSTs, arrange the blocks as shown in the image above. Piece the blocks together into rows. Press seams open. Sew the rows together. Press seams open. Unfinished, the Berry Crossing block should measure 12 ½ʺ x 12 ½ʺ. Congratulations! You have completed a Berry Crossing Block! I would love to see what you create. If you are on Instagram, tag me (@QuiltingJetgirl) and any images of your block or quilt made using the block #BerryCrossingBlock. Or send an email to jetgirl8(at)gmail(dot)com with a photograph or a link to a blog post about your quilt. The Berry Crossing Block Tutorial is also now available as a free download from my Craftsy store. For a chance to win the fall inspired (5) fat quarter bundle of Cirrus Solids curated by Cloud9 pictured above (Twig, Amber, Olive, Denim, Lava), please use the Rafflecopter widget below! The giveaway is open to everyone (international entries welcome), and the giveaway will be open through Friday, September 16th at 11:59 pm EDT when I will let Raffelcopter select a random entry to win. These Cloud9 fabrics are so wonderful and this palette is one of my favorites. I love the secondary star pattern that this block creates. For some reason, I can really see this making a really beautiful holiday quilt using shades of green, red, and gold. I followed Cloud9. I also posted my Snowflake shimmer. I won some fabrics in fall browns, oranges, and yellow at a local quilt guild. I may try this pattern it appears to be full of happy HST!!!! Great giveaway. I love Cloud 9, especially since this year I have been trying to limit myself as much as possible to ethical fabrics when I buy for stash. Your block is so versatile – you are very clever! 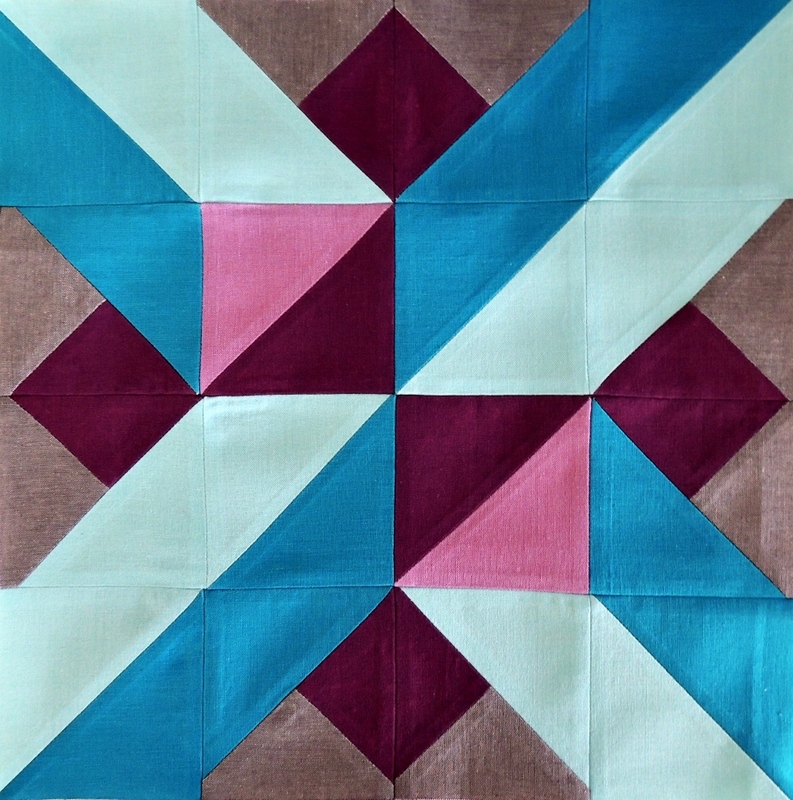 I’m intrigued by your block–looks difficult (like it has set-in seams), but it doesn’t. Better print it out! What a super block! Amazing what some HSTs and QSTs can design, beautiful! I appreciate you having the pattern on Craftsy as well. Such a gorgeous block, Yvonne! And I love how you provided two different colour mock-ups – such a great idea!! Oh my gosh, Yvonne, just the name makes me smile. 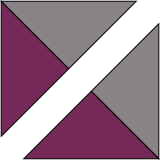 I just like the two squares “facing” each other. The whole quilt design is really awesome, too. I just love it! And thanks for the blog hop – I am loving it. The fabrics are awesome, and there are so many fabulous ideas! Beautiful block! I love the secondary pattern it makes! I’m in love with your block! I love how just swapping the two pinks, completely changes the look of the quilt. I love the block and how beautiful it looks as a quilt. Your instructions are super user friendly which I like too. More importantly, I’m grateful to be influenced by the New Block Blog hosts for the time and energy committed to creating these blocks for a wonderful charitable cause. I really like how the top version of your block flows together as a quilt. I think it’s much more dynamic than the second color arrangement, with just that much more emphasis on the dark values of fabrics. Would love to see it if you reversed the blues and the purples — wonder how the dynamic would change. This is an awesome block which looks even cooler when repeated. I love your 3-D stars. Thank you so much for hosting this blog hop again, and for inviting me to participate! I feel like this round had really stepped it up in terms of blocks created and creativity. I know you do a lot of work for everything to go so smoothly, and I think it shows! 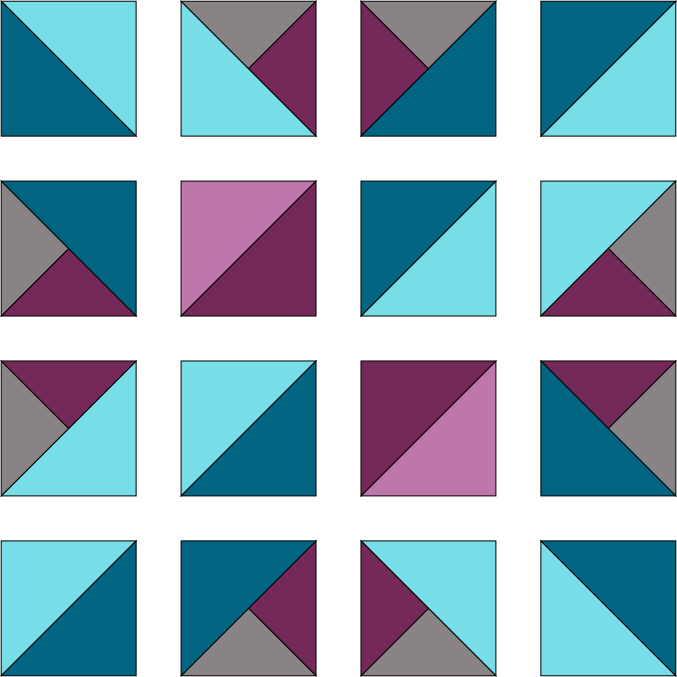 I love your block, and especially the how much the color layout changes the look of the quilt! Oh my gosh! I love the quilt that your block makes up! These colors really play nicely together.